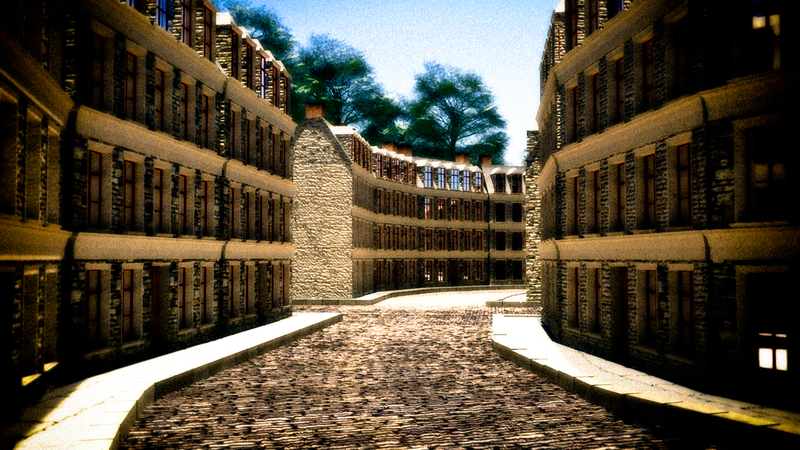 I’ve been working on a little city street for a few days now. I want to capture the kind of old European feel that one can find in places like Edinburgh. Right now this is about 65% done. I think I’m going to try to make it look like an old postcard.